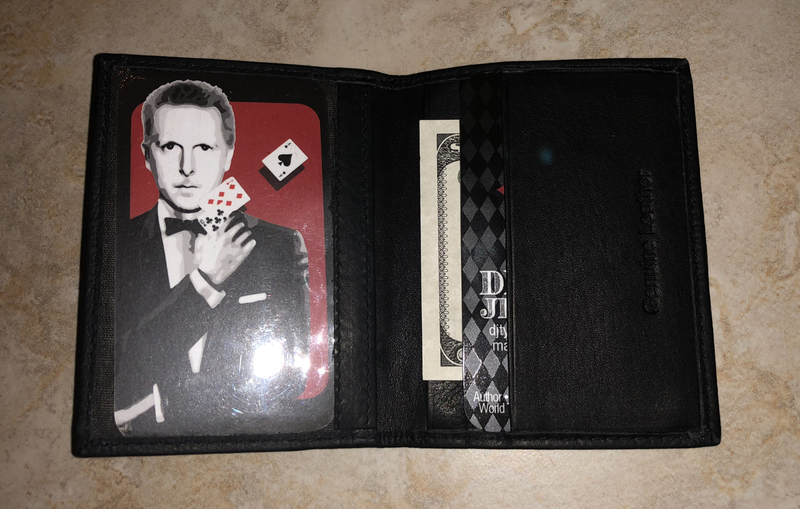 This thin, sleek, normal looking, pocket-sized, affordable black leather business card wallet will zap you the information needed for your favorite mind-reading routine. With the wallet you receive DJT’s thinking and some subtleties when handling the ZAP wallet. This is a great little secret weapon to have in your arsenal and you’ll find it functional for everyday use. The ZAP wallet is something you will use.